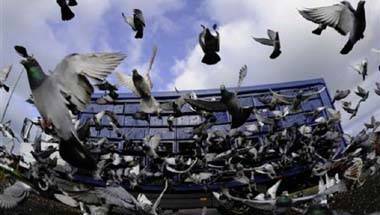 Pakistanis use pigeons for racing and breeding. You would think the pigeons, being a ticket to get rich quick, would at least be treated well. This is not so. In Pakistan's Punjab, a cage-full was recently burnt alive.